I have a few swatch photos saved up from back when I had square nails, and I'm starting to work through them now! 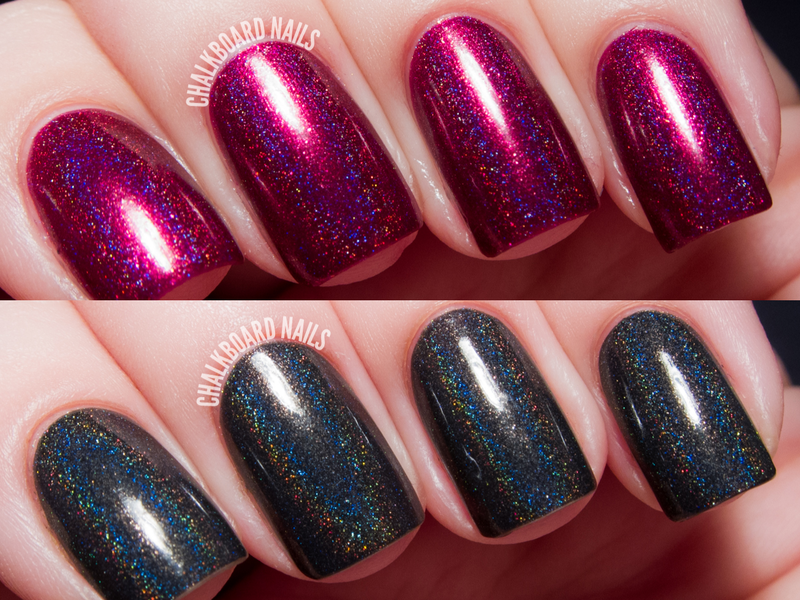 These two holographic beauties are from I Love Nail Polish. Keep reading for additional photos and my thoughts on these. A.C. Slater, a polish I previously showed off in my smoky holographic gradient manicure, is a dark warm grey polish with a holographic finish. It was created to be reminiscent of OPI's My Private Jet. The formula is smooth and needed two coats for opacity. Shown first in direct light and second in indirect light. 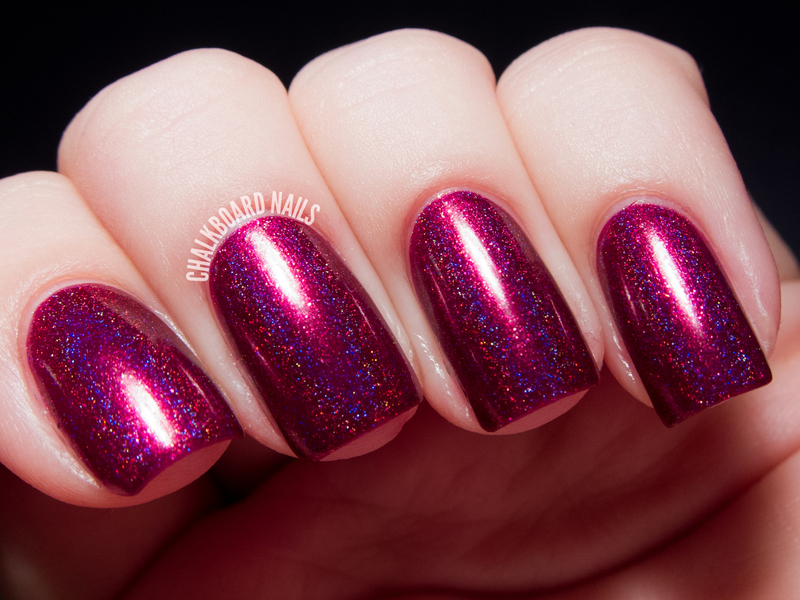 Molly is a deep, rich magenta shade with an intense holographic finish. Besides being holo, it also has a glowy, jewel-like appearance that is hard to describe. 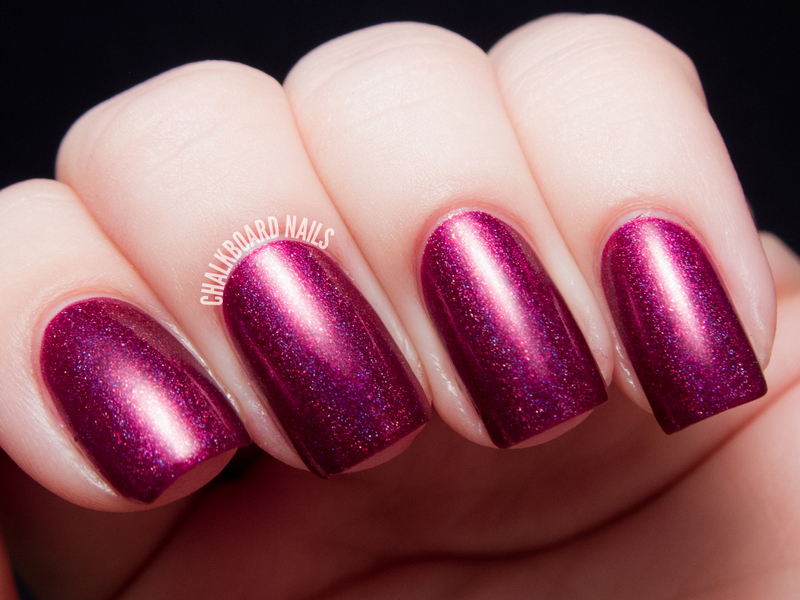 The ILNP site describes the finish as "rich and wet appearing." 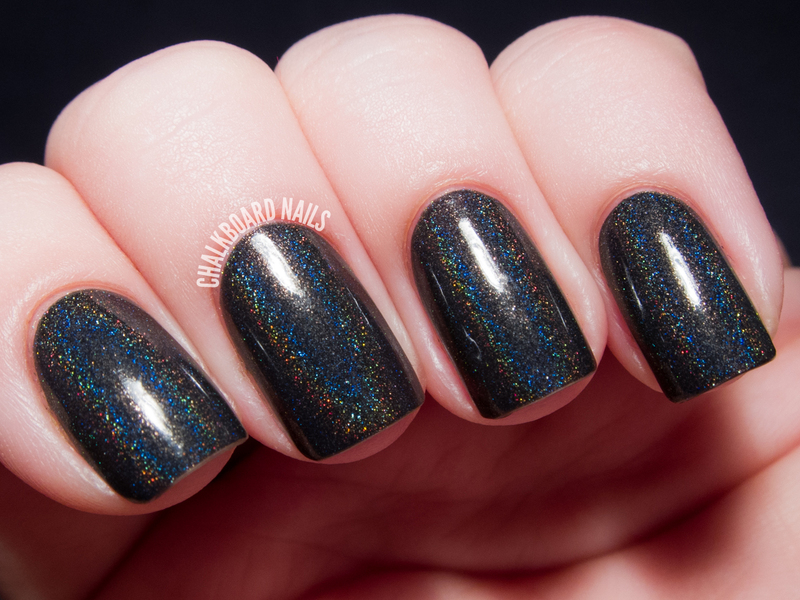 Though I'm not usually one to go crazy over holos, this one is really special. The formula is great; I used two coats here. Shown first in direct light and second in indirect light. I Love Nail Polish lacquers are available at www.ilnp.com. 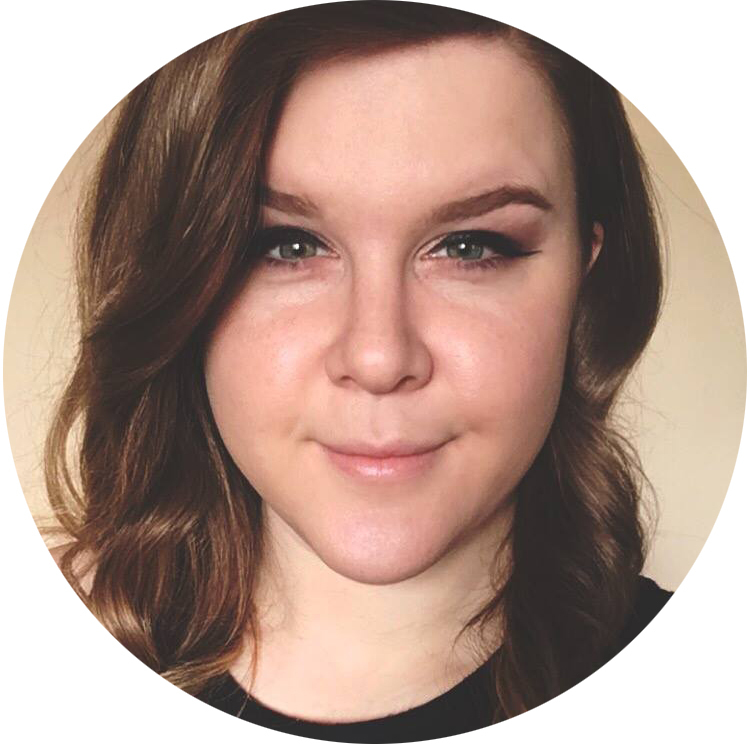 You can also keep up with the brand on Facebook, Twitter, and Instagram. I love Molly. I bought it back when the presale went up and get more compliments on it than most other nail polishes. These remind me of Zoya's Blaze and Storm. Both are just stunning shades! Molly is so beautiful. Might have to add that to my next order. but these are linear holos rather than scattered holos, and Blaze and Storm have larger particles in them. Both of these polishes simply look amazing, they both have such depth! Color wise but formula and finish wise they are totally different. You need them all! (groaning) Please, please stop with the awesomeness! How can there be such marvelous polishes for us?! And I want them all! Ack! Molly is amazing! Such a vibrant pink, I need it! Molly is so beautiful, I always mean to grab it when I order and somehow I always seem to forget! Ack! Hi Maryann! Each manicure uses a combination of different supplies. If you search for a post using the search bar at the top of the page, the original post will usually show you what supplies I used. Feel free to email me if you have more questions!